YULIYA YAKUPBAYEVA: BUSINESS SHOULD CONSIDER EEU COUNTRIES’ DIGITAL INITIATIVES AT INITIAL STAGE | The main task of the National Chamber of Entrepreneurs "Atameken"
Provide business with the entire list of digital initiatives submitted to the Commission. 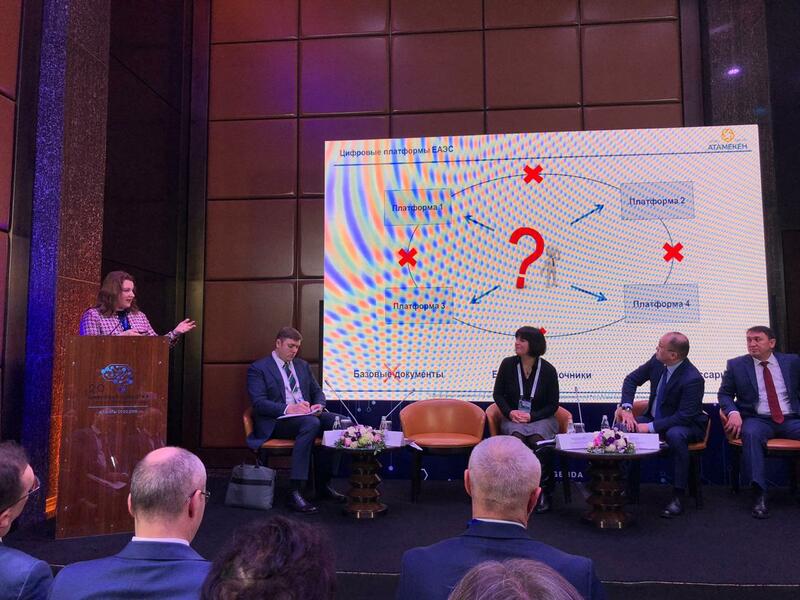 Deputy chairman of the Board of the Atameken NCE Yuliya Yakupbaeva suggested it during the EEU Digital Agenda section of the second Digital Agenda into the globalization 2.0. Innovation Ecosystem of Eurasia Forum. She supported the need for the adoption of the draft Order on consideration of digital projects that was developed by the EEC. “This is very important for understanding projects - a list of documents, a project passport and business processes for passing documents to the Commission. We are glad that colleagues from the Digital Office heard us. Definitely, the work will go more dynamically,” Yuliya Yakupbaeva said. The speaker also reiterated the view on the possible synchronization of similar or common components of initiatives from different countries and a proposal to involve business into consideration of the digital initiatives at the initial stage. “We also support the idea of involvement of business experts in the discussion of digital initiatives at the initial stage. The circle of these experts will form the Competence centers. We are discussing how they will interact with the Commission and national government agencies. Definitely, the Atameken Chamber can become one of the Competence centers,” Yulia Yakupbaeva said. In addition, there were proposals on such subjects as to ensure the conditions for the multipurposeness of initiatives and projects from the point of view of foreign partners, intensify work on the development of a single cross-cutting architecture of reference books for digital projects and create a single window for acceptance of these initiatives into work. 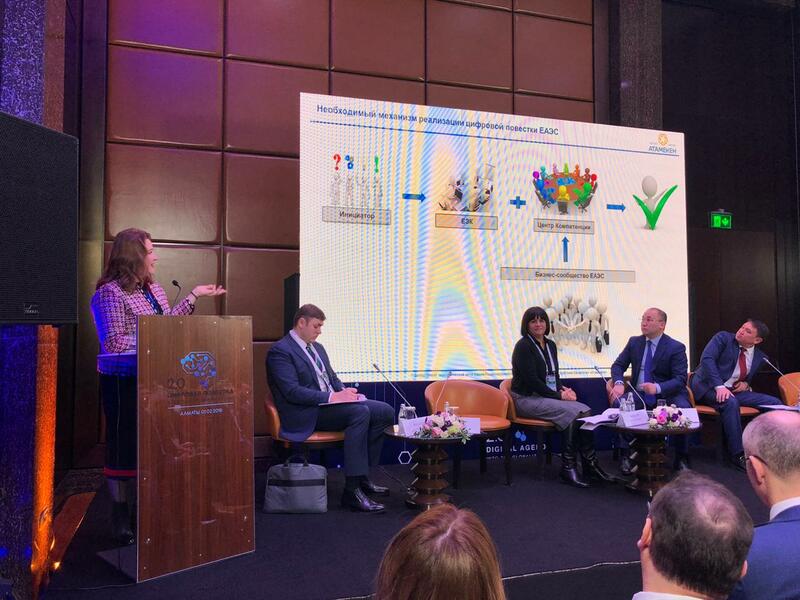 “The most important thing is that the emphasis in the selection of projects should be focuced on convenience for entrepreneurs by creating a clear digital ecosystem that will remove some regulatory barriers rather than create new ones,” Yuliya Yakupbaeva said. Remind that Almaty hosts the second Digital Agenda into the globalization 2.0. Innovation Ecosystem of Eurasia Forum within the framework of the meeting of the Eurasian Intergovernmental Council. The purpose of the forum is to unlock the potential of the Eurasian region by combining the activities of civil servants, corporations, entrepreneurs, investors and key players of the ecosystem within a single structure.The site is viewed as a platform for collaboration on IT innovation and entrepreneurship to provide the best practices from participating states until 2025. 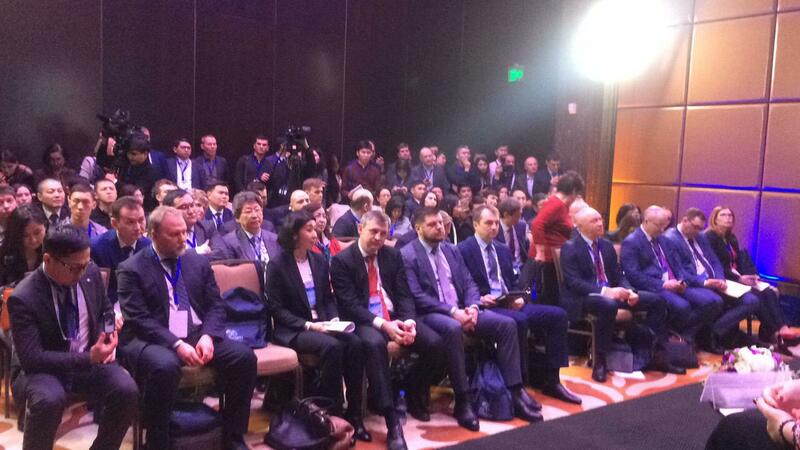 In total, the event was attended by over 800 international experts, representatives of the EEC, UN, EEU countries, embassies.